Since 2016, Larsen Jewellery has proudly provided support for Cambodian Children’s Fund (CCF), by providing beautifully designed pieces of fine jewellery, which are then auctioned and raffled to raise money for this wonderful initiative. In 2017, Lars Larsen, owner of Larsen Jewellery, travelled to Cambodia to spend time with staff and the children. He found it to be an incredibly rewarding and eye-opening experience. 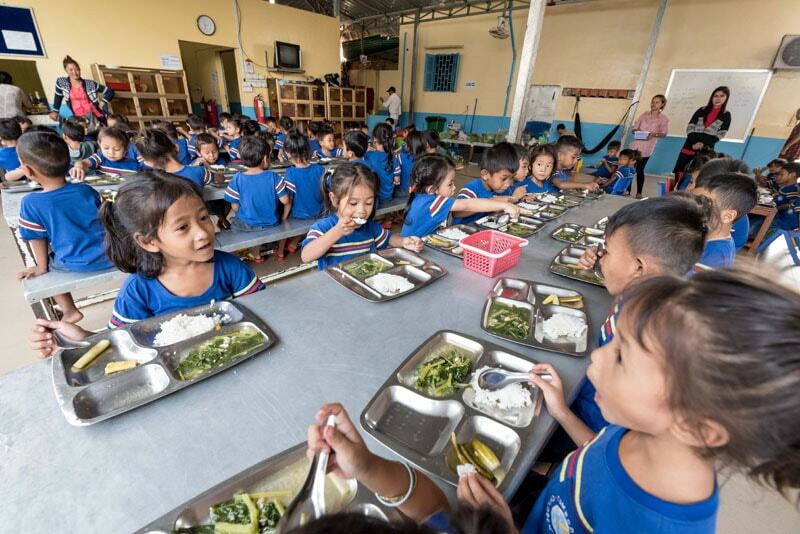 Cambodian Children’s Fund transforms the country’s most impoverished kids into tomorrow’s leaders, by delivering education, family support and community development programs into the heart of Cambodia’s most impoverished communities. Operating since 2004 around the former garbage dump at Steung Meanchey, CCF offers a range of programs that focus on six core areas – Education, Leadership, Community Outreach, Healthcare, Childcare and Vocational Training. Through these interconnected programs, CCF works with families to build plans for escaping debt, educating their children, developing job skills for parents and older children utilising a comprehensive, on-the-ground approach to developing integrated solutions to the complex issues of poverty. Today more than 2,000 students are working towards a better future for themselves and their families through CCF’s award-winning education program.